Has your Rangemaster oven stopped working? There are a number of reasons that your oven might have broken, but don’t worry. We’re here to help you identify the problem and implement a solution! If you have found that your Rangemaster oven is getting too hot and burning your food despite being at a reasonable temperature, it’s possible that your thermostat is faulty. The thermostat sets and regulates the temperature inside the oven, so if you suspect this part of your Rangemaster oven has broken, you should replace it immediately! Continuing to use an oven with a faulty thermostat is a huge health and safety risk. Need help replacing your Rangemaster thermostat – don’t worry, we have a helpful guide that will talk you through it! One problem that you’ll no doubt notice right away, is when your oven stops heating up! Turn the oven on, set a temperature and leave the oven running for a little while. Still cold? Your cooker might be in need of a replacement oven element! The oven element is the part that heats up inside the oven, so when this breaks it causes a real problem. Luckily, replacing an oven element is a relatively simple job, and they aren’t too expensive to buy! Take a look at our Rangemaster oven elements by clicking the button below. Whether you need to fry or boil or steam something the cooker hob plays an important role in most everyday recipes! If you’ve noticed that your cooker hob isn’t working, you’ll probably want to fix the problem sooner rather than later! We can help! Browse our Rangemaster hob spares below, select the right one for your cooker using your model number, and get your Rangemaster hob working again in no time! If you find that these spares don’t help fix your Rangemaster cooker, don’t hesitate to give us a call on 02920 452 510, we will help you identify what’s wrong with your oven and advise you on the best solution. As one of the most popular cooker brands on the market, it’s likely that you’ve come across Rangemaster cookers time and time again. But how much do you really know about this iconic cooker brand? To help answer some of the most common questions we get about Rangemaster, we’ve put together this FAQ page. Don’t forget to take a look at our selection of Rangemaster Cooker Spare Parts when you’ve finished reading this blog! 1. Where is Rangemaster made? Rangemaster cookers and spares are made here in Britain & have been for over 181 years! Their very first Kitchener was created in Royal Leamington Spa in 1830, and all of their products have been manufactured in this same location ever since! 2. Is Rangemaster a good brand? Rangemaster is the No.1 range cooker manufacturers in Britain! They offer lots of choice, features and designs so homeowners can choose a cooker that suits their exact kitchen requirements. Rangemaster offer a standard 2-year warranty & their cookers comply to strict quality controls. Their cookers have won many, many awards over the last few years- so in short, yes - Rangemaster is a good brand. 3. What Rangemaster cooker do I have? If you head to our help centre, we can help you locate your data plate details! 4. Does Aga own Rangemaster? Yes! Aga Rangemaster Group (formerly known as Aga Foodservice Group) owns a number of brands including La Cornue, Rangemaster, Aga and Marvel! 5. Does Rangemaster do electric ovens? Yes, Rangemaster makes electric ovens, range cookers, gas ovens and dual fuel ovens. To shop Rangemaster electric ovens, click here. 6. Where can I buy Rangemaster ovens? If you want to buy a Rangemaster oven, it won’t be too hard to find one. 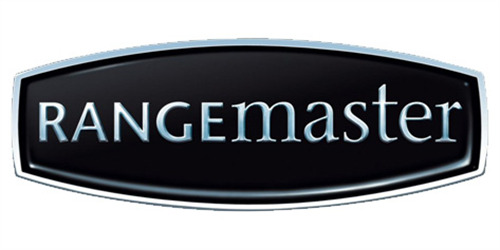 Being one of the UK’s most popular oven brands, Rangemaster is available in most major appliance stores. You can buy directly from www.rangemaster.co.uk or from an independent retailer like Kitchen Economy. The beauty of buying through an independent retailer is that you can easily compare different ovens. Exploring a few different options helps you to decide whether Rangemaster is the right oven brand for you! 7. How do I clean my Rangemaster oven? For cleaning your oven, Rangemaster recommend using a cleaning product that is safe for use on vitreous enamel. Take a look at the label on the back of your chosen cleaner before you start. Generally, you shouldn’t use any cleaning products that might cause your own to peel or tarnish, especially if you have a coloured Rangemaster. To remove light dirt and stains, warm soapy water and a soft cloth should suffice. 8. How old is my Rangemaster cooker? To find out how old your Rangemaster cooker is, have your model number ready and give their customer service team a call! Rangemaster customer services can be reached on, 0800 804 6261 or 0370 789 5107. We hope that this Rangemaster FAQ blog answers whatever questions you may have about Rangemaster. If you require Rangemaster spare parts, you’re in luck! We have an extensive selection of Rangemaster cooker spare parts on offer! Click the button below to browse, or call us on 02920 452 510 for assistance. Gas stoves that require an ignition switch to light generate a small amount of electricity to ignite the gas so you can cook your food. Occasionally the ignition switch will stop working, which will prevent your cooker from working properly. Usually, when one ignition switch on your oven fails, they all fail because they are linked. Make sure the power and gas supplies are disconnected from your cooker completely. Remove all the internal oven racks. Remove the bottom panel & the screws that secure the igniter. Disconnect the igniter from the oven and set it aside for disposal. Without touching the carbide electrode, connect your new igniter to the oven. Position the igniter so it sits in the same place as the old one. Re-install the bottom panel and secure everything back down using the screws you removed earlier. Put your oven rack back into the oven. Turn the gas and electric supply back on & check your new igniter is working. You might not notice how often you use the clock on your oven until it stops working. From a quick glance to check you're on time as you leave the house, to setting a timer while your Sunday dinner cooks to prevent under or overcooking, your oven clock plays an important role in your life. If you do notice that your oven clock has stopped working, there are a few simple steps you can take to diagnose and fix the problem quickly and easily. If you can identify whether the fault is localised to the oven clock or if it is a different, more complex cooker fault causing the clock not to work, then you will be in a better position to start repairing it. If you can't identify the problem yourself, or if the entire oven has stopped working, we recommend speaking to a specialist to help you identify the problem. The manufacturers of your oven are specialists at dealing with faults and repairs of your oven, so try giving them a call first and foremost if you cannot identify the problem easily. If it is just the clock that has stopped working, you should first check that it doesn't just need to be reset. Find the manual for your cooker, or look one up online, and try to reset your oven clock. If this doesn't fix the problem then it's likely that there is a physical fault with your oven clock, which means it's probably time to think about replacing or repairing it! That's where we come in. We stock an extensive range of different oven timers, clocks and programmers to get your oven clock working as it used to in no time at all. The best way to browse timers, clocks and programmers for your exact oven is to have the manufacturer details and model number ready. Simply enter these into the site to reveal a selection of replacement parts that perfectly match your oven. If you have any difficulties identifying the problem with your oven, or if you'd like help finding the right replacement clock timer or programmer for your oven, don't hesitate to contact a member of our team on 02920 452 510. If you're ready to get your oven clock on the mend, click the button below to browse replacement parts. 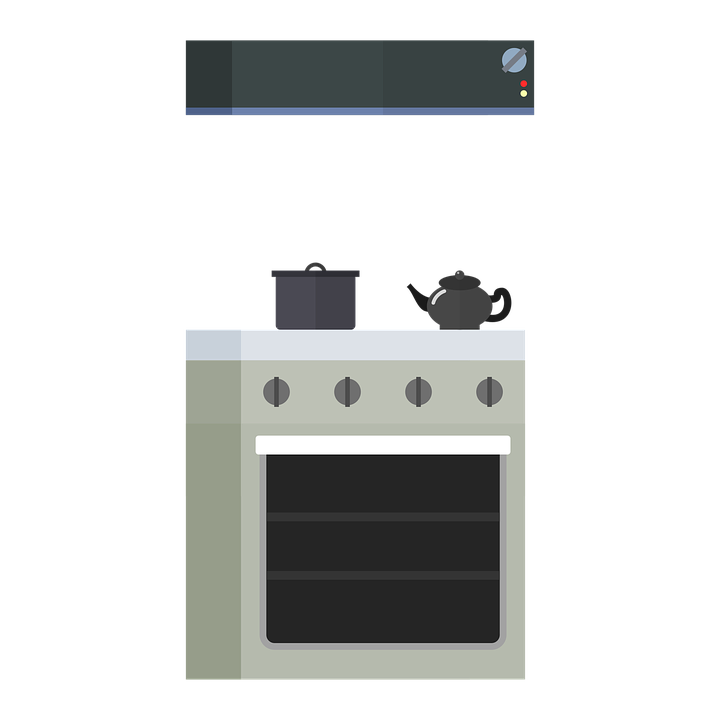 As with any cooker, Stoves cookers can sometimes experience problems. Today we are taking a look at some of the common problems people experience with their Stoves cooker knobs. Hopefully, our advice can resolve and Stoves cooker knob problems you might be experiencing, and get your oven working as it should be again in no time at all. Sometimes you cooker knobs become loose and can eventually fall off (don't worry, it's just a sign of an oven that's been well loved). While this isn't a difficult problem to fix, it can be incredibly annoying and in some cases, even pose a safety risk! 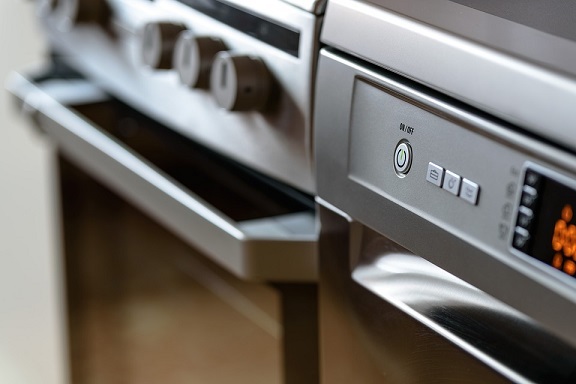 If your cooker knobs have fallen off, you may no longer be able to adjust the settings of your cooker, so it's wise to get this problem resolved as quickly as possible. Re-attach it. If your Stoves cooker knob has simply fallen off, then you might be able to resolve the problem by reattaching it, there are some great videos online that will talk you through how to do this. Order a replacement. If you've lost your Stoves cooker knob then you need to order a replacement, which is simple enough with the help of CookerSpareParts! Simply find your cooker's model number and enter it into our Stoves cooker knobs section to find genuine replacement parts. If your cooker knobs are melting, it's likely that heat from your oven is escaping from your central oven and heating the cooker knobs, when it shouldn't be. This could be because your cooker seal is faulty and needs replacing. When sealed properly, no heat should escape from your oven, and your cooker knobs shouldn't get hot at all. Luckily, we stock a huge selection of Stoves door seals and gaskets that will help you eliminate this problem. The best way to find the right seal or gasket for your oven is to have your oven's model number to hand before browsing. If your cooker knobs have melted significantly, you probably need to order and replace these too. You will find a great selection of replacements right here on CookerSpareParts.com. Hopefully, this will help you resolve the most common problems people experience with their Stoves cooker knobs. If you have any questions about fixing or replacing your Stoves cooker knobs, don't hesitate to give us a call on 02920 452 510.